Tencom has been offering web design and development services since 2002 even while becoming a well known and trusted Managed IT Services provider in Tennessee. 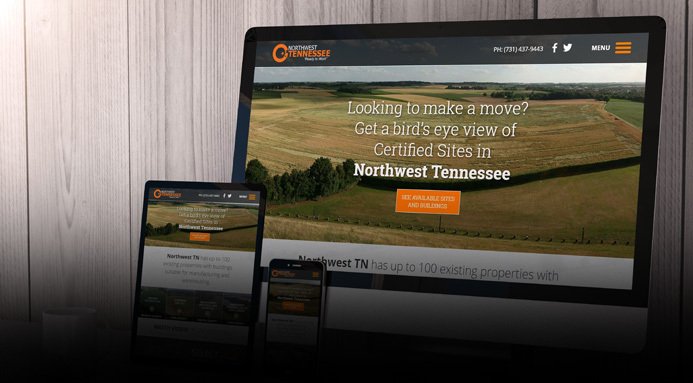 From our humble roots of building basic web pages for clients we now offer a full range of web services for clients all over the Southeast and beyond. We have proven over the years that distance isn't the most important factor when choosing a web development company. Customer service is much more important and we try to prove everyday our value to our clients. I need a website but I don't want to have to deal with hosting and domain name renewals. At Tencom we have been offering fully-managed web services from the very beginning. What we mean by "Fully-Managed" is that we not only build your website but we also host it, maintain it and keep your domain name renewed without you having to worry about losing your site or name. Content Management Systems. We love Joomla but work with WordPress as well. Give us a call today at 731.288.8000 to schedule a brief telephone consultation about your project. We'd love to have an opportunity to talk with you and see if we are a good fit for your project.